Bed 9 is planted to rhubarb and horseradish. 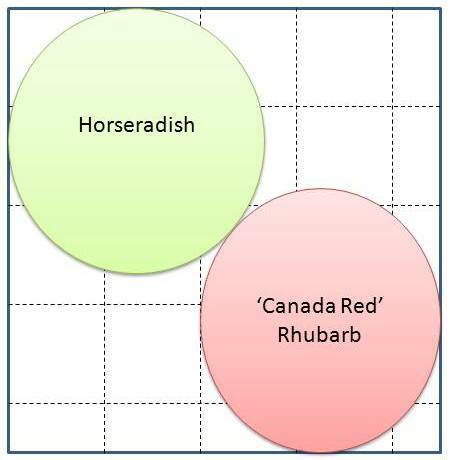 Horseradish and rhubarb are both perennial plants that take awhile to get established. Horseradish can be quite invasive and is best planted in a confined area. Rhubarb needs a very well drained location, so planting it in a raised bed should be a better situation than directly in the ground.